Itchy ears are nothing to shake your head about. In fact, having an itch in your middle ear can drive you nuts. Nuts enough to start putting all sorts of crazy things into your ear – things that would probably be best to keep far away from your ear! If you have ever suffered from itchy ears, you know just how frustrating it is – mostly because you can’t always reach the itch! Earwax – Although earwax is the body’s way of cleaning dead skin cells and debris from your ears, too much can cause your ears to itch. Don’t ever put a cotton swab in your ear in an attempt to remove wax. This just pushes wax deeper into the ear where it can get stuck and cause more problems. To remove wax from your ears safety, use over-the-counter ear drops that are designed to break up the wax. Here is the thing though, don’t go nuts trying to get the wax out as too little wax can also cause the ears to itch! Infections – If your ears itch, it could be a sign of an infection. Both bacteria and viruses can cause infection and it usually happens when you are already sick with a cold or flu. Many people experience swimmers ear, which happens when water stays in the ear after swimming. Too much moisture strips aways the ear canal’s natural protective layer against germs. If you suspect that you have an ear infection, it is imperative that you see your physician who can prescribe the appropriate antibiotic. Skin allergies – Just like allergies can make your arms and legs itch, they can also make your ears itch. Sometimes hairspray or shampoo is the culprit here – be sure that you are using organic products that will not irritate. You can also become allergic to things put in your ears like rings, bars, studs, etc.. You may also be sensitive to earbuds and hearing aids, and this can cause dermatitis, a condition that causes itchy skin. If your ears become itchy after switching hair products or earbuds etc.. try discontinuing use to see if that helps. If this does not stop the itching, you may need to see your physician for some steroid cream. Food allergies – Yes, what you eat can actually make your ears itch. You might feel a sort of prickly feeling in your ears when you swallow food or take it out of your mouth. If you find that your ears itch when you eat certain fruits, veggies or tree nuts, you may want to be tested for food sensitivities. Start by paying attention to what you eat and how particular foods make your ears feel. Ears are considered to be largely self-cleaning – and is important to leave the cleaning to your body as much as you can. There are a number of products that are marketed to keep ears clean but should never be placed in your ears including cotton balls and cotton swabs. 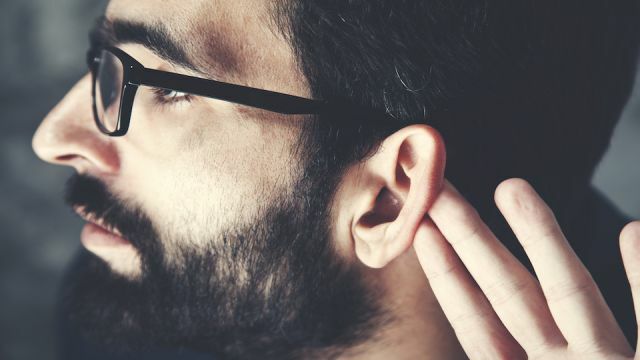 Here are a number of ways to keep your ears from itching without causing harm. Be selective when choosing ear jewelry and avoid jewelry made of metal that might cause an allergic reaction that leads to itching. If you swim a lot be sure that you use swimmers ear solution to rid the ears of excess water. If you have issues with excess water getting into your ears, wear a shower cap on days when you are not washing your hair. Use organic hair products only. Disinfect your earplugs regularly. Be sure to insert them gently so as not to irritate your ears. Clean your cellphone and your earphones often. Don’t touch your ears with dirty fingers. Here are a few tips to help ease itchy ears naturally. Gravity – If you feel like water has entered your ear after swimming or a shower let gravity do its work. Simply lay down on your side with a towel under your ear until the water has drained. Olive oil – Olive oil is one of the most well-known ways to relieve an itch in the ear. It helps to remove excess wax and also keep your inner ear canal lubricated. One study even found that herbal ear drops that contain olive oil can help to reduce pain from an ear infection in children. Lie on your side with affected ear upwards. Pull the outer part of your ear back and put in two to three drops of warm olive oil using a clean dropper. Massage the skin at the front of the ear until the oil works its way in. Stay on your side for ten minutes and wipe any extra oil when you sit up. White vinegar – White vinegar is known as an effective and natural way to relieve an itchy ear. It works best when it is combined with rubbing alcohol, which is a drying agent that helps dry up residual liquid in the ear. Vinegar is also a powerful antibacterial agent that can help prevent infection. Combine equal parts of white vinegar and rubbing alcohol in a bowl. Turn the side of your head with the affected ear upwards to the sky and drop a few drops of the solution from the cotton ball into your ear. Wait for about five minutes and tilt your head the other way so that gravity can do its job pushing solution and wax out of the ear. Use a clean cotton swab to remove earwax from your outer ear. Blow dryer: If inner ear moisture is the reason for the itchiness, a blow dryer can be quite useful. The warm air from the dryer will convert water into steam and help dry out the ear. Position the dryer about 12 inches from your ear. Turn the dryer on warm temperature and low air. Aim the dryer directly into the ear canal and hold it there for about 30 seconds.